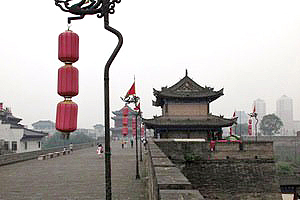 Behind the Drum Tower is the famous Muslim quarter (also called Islamic Street). 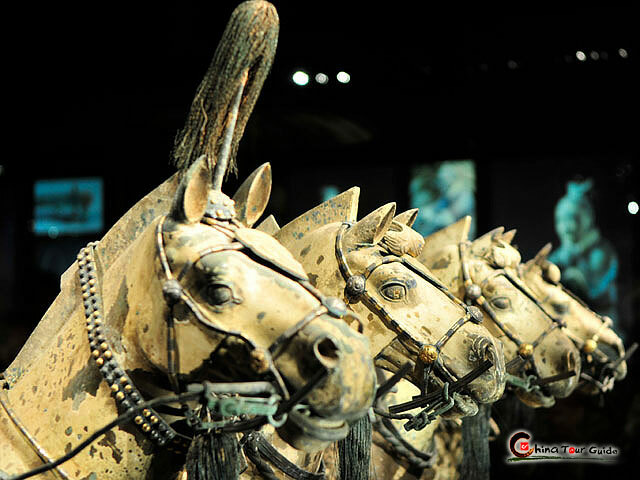 As the starting point of the famous Silk Road, Xi'an attracted traders from West since 1st century BC. 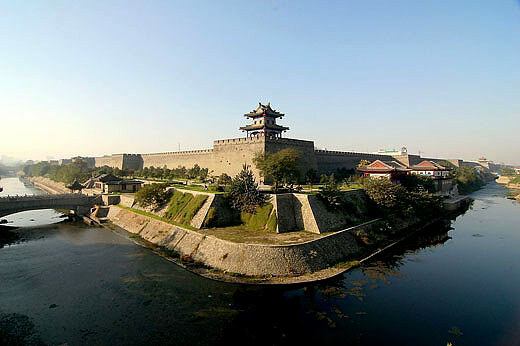 During the 8th century AD, Xi'an was the largest city in the world with over one million inhabitants, among which one third of them were foreigners. 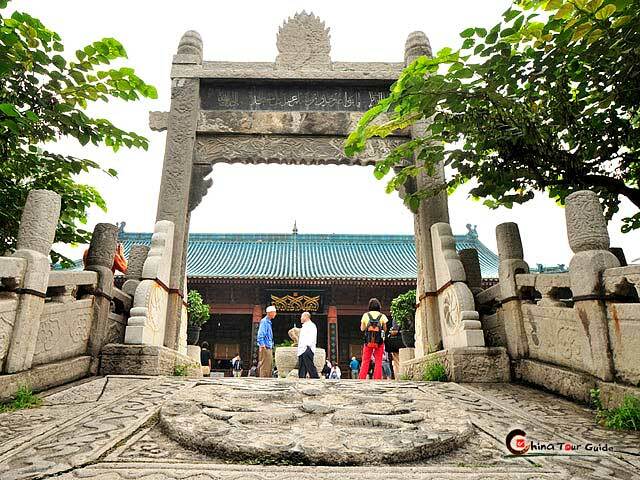 The ancestors of these Muslims dwelled in Xian with Han people harmoniously and built Great Mosque for worship simultaneously. Muslim quarter is a fascinating area where you can find exotic food, interesting people (some of the residents are still look like their Arabian cousins) and great souvenir stalls. 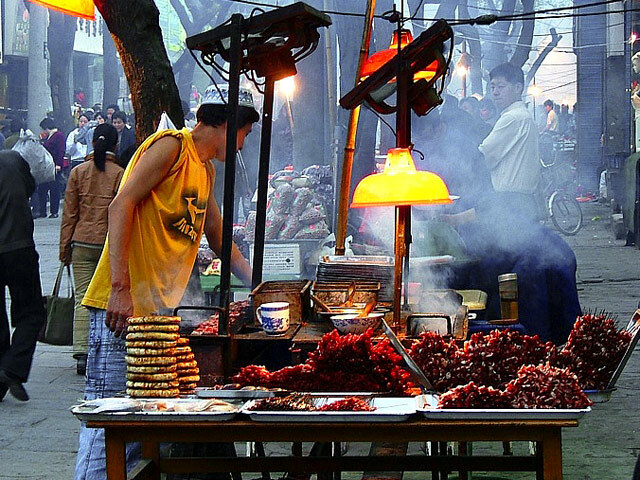 You can taste many authentic Islamic snacks, like beef or mutton Rou Jia Mo (Chinese Hamburger), northwestern style noodles, Yangrou Paomo and many other attractive snacks that will not make you disappointed. The restaurants and eateries here are serving their food in budget prices. The entrance of the Muslim Quarter. 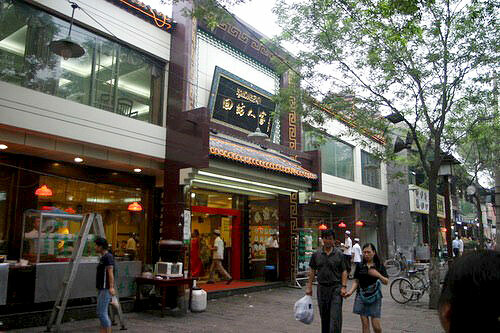 A dumpling restaurant on the Muslim Street. 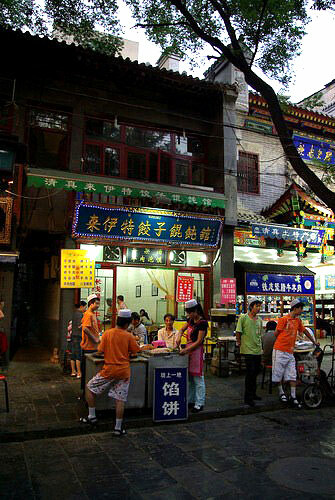 When night falls, the Muslim quarter is one of most busy place in Xi'an. 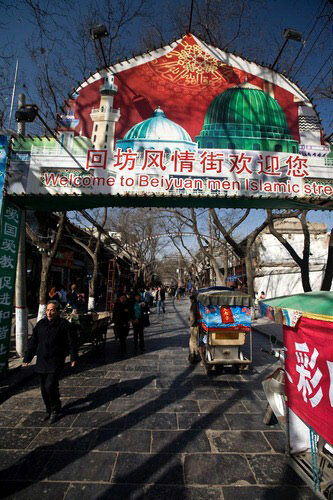 The fact that this area has been a home to Chinese Muslims for over one thousand years yet the dividing line between the two cultures is immediately apparent is something that most visitors unfortunately never notice or think about. You will find many delicious food in Muslim Quarter. Restaurants on the Muslim Street.